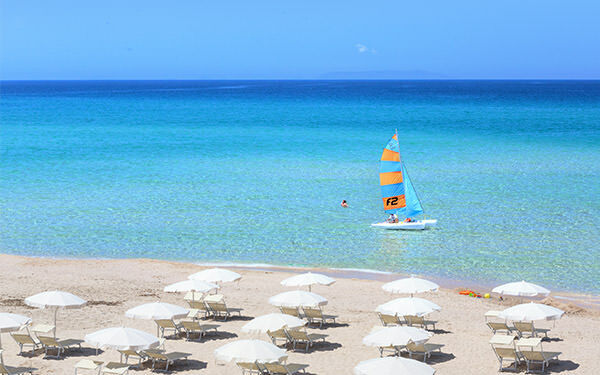 Choose the holiday in Sardinia that’s right for you! All the luxury of a suite, an apartment or a villa by the sea with all the comfort and services of the best 4 and 5 star hotels on the island. 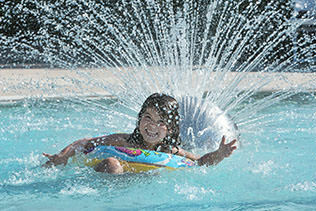 Are you trying to find the perfect hotel in which to spend your holidays with children in Sardinia? Are you looking for the best destinations for romantic holidays for two or honeymoons by the sea? Delphina is delighted to present its collection of hotels and resorts, each with its own character and a wide range of facilities and services made to measure for your dream holiday. Delphina, your friend in Sardinia is waiting for you! 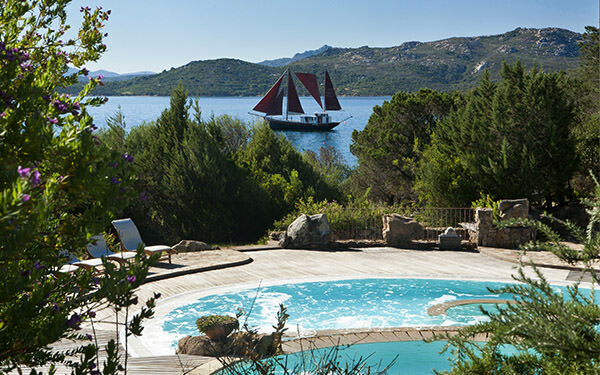 ROMANCE is the Delphina hallmark at this boutique hotel near Palau, set in luxuriant Mediterranean gardens and protected by the famous Roccia dell’Orso, or Bear Rock. An elegant 5 star hotel with private marina and 9 hole Pitch & Putt golf course, it offers a warm welcome to couples looking for relaxation and privacy amidst enchanting beaches and wooden solariums set literally over the water, an exclusive Thalassotherapy centre and sophisticated gourmet standard restaurants. A DREAM called the Resort Valle dell’Erica. A short distance from Santa Teresa Gallura and set in a 28 hectare private park with little bays and the long Licciola beach, there is a 180° picture postcard view of the La Maddalena Archipelago. 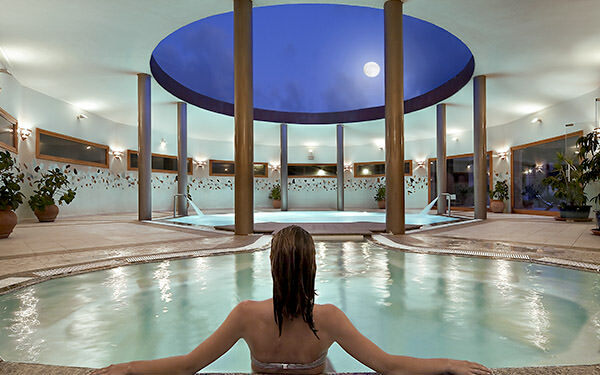 Two luxury hotels, Erica and Licciola, offer 5 star facilities and services with excellent restaurants, a mini club, a Thalasso centre and SPA and elegant suites where your holiday in Sardinia either with children or that special person will be a dream come true. 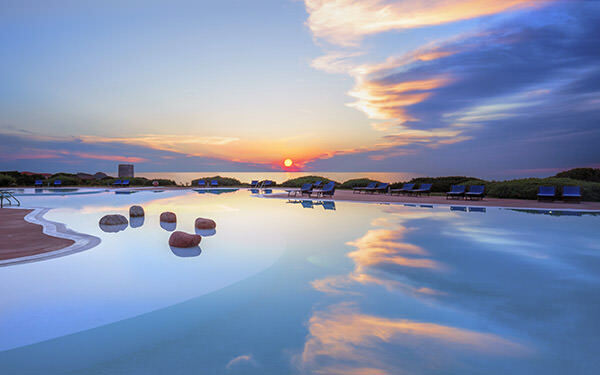 Treat yourself to the luxury of a WELLNESS holiday in Sardinia at this 5-star hotel in Isola Rossa. 2,500 square metres dedicated to Thalassotherapy and beauty in a corner of the island that is still wild and where you can find equilibrium and peace for your soul. Exclusive services, excellent restaurants and the enchanting La Marinedda beach all go to make the holiday an exciting and rejuvenating experience, to be enjoyed as a couple or shared with the whole family. Enjoy the most beautiful part of Sardinia to the full! At the Resort Cala di Falco, DYNAMIC by nature, you can enjoy the sea, relaxation and the social life of the Costa Smeralda in an unforgettable holiday. To best meet your needs you can choose between 3 different types of stay: hotel, residence or villas. This is an experience to enjoy in complete freedom while relaxing at the same time, thanks to the countless facilities and services offered by the 4-star hotel by the sea at Cannigione, a splendid setting close to Porto Cervo. 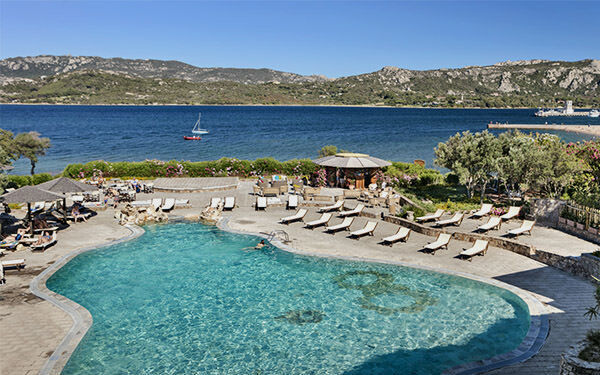 Your oasis for RELAXATION in Sardinia is the 4 star superior hotel in Isola Rossa. A unique position on the sea that offers wellness and peace and quiet. A gentle awakening of the senses to be enjoyed every day between sunbathing on the beaches of Isola Rossa or on reserved wooden solariums, between Thalasso treatments and evocative dinners illuminated by the warm rays of the sunset. The perfect choice for you to spend your honeymoon on the beach or treat yourself to a romantic getaway in Sardinia! Dynamic and energetic all year round? Continue to have fun on holiday at Delphina’s SPORTS hotel. 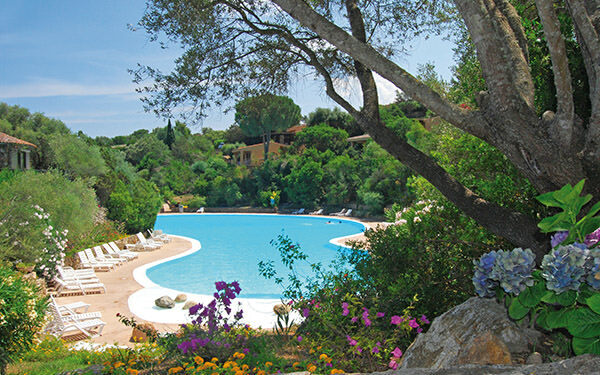 A few minutes from the well known tourist resort of Palau, the 4-star Park Hotel Cala di Lepre is perfect for families, young couples and groups of friends who love nature and outdoor activities. 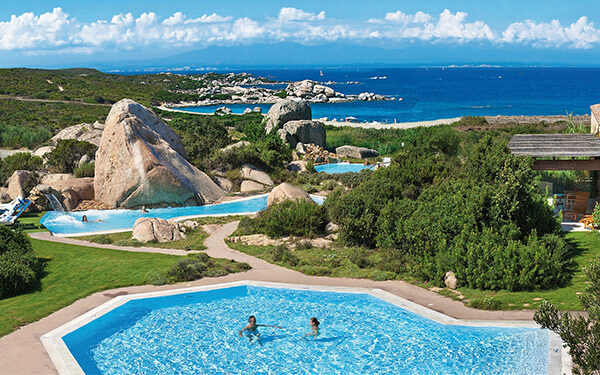 A large park surrounded by nature with mini clubs, excursions and free sports activities to do in some of the most beautiful destinations in Northern Sardinia. What makes a holiday with children perfect? HAPPINESS! Entertainment is the watchword at the Le Dune Resort at Badesi with 5 hotels, 10 restaurants and 1,000 activities dedicated to families. 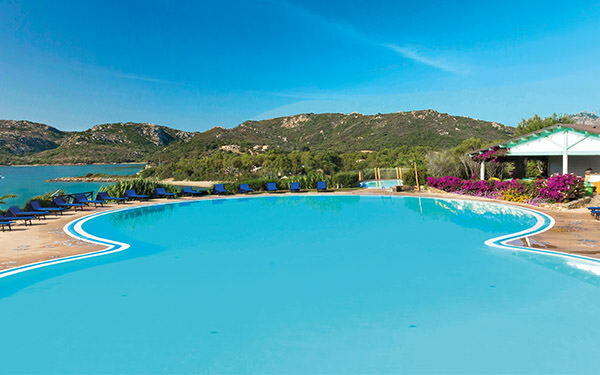 A large self-contained village in the North of Sardinia with all the 4-star comforts, facilities and services necessary to satisfy young and old, children and adults: sports and wellness, games and nature, amusements and entertainment in a park dotted with 6 swimming pools and facing an 8 kilometre long white sandy beach. The LUXURIANT vegetation that unobtrusively surrounds the Cala Capra park is the most important and appreciated feature of the apartments at the Residence Il Mirto in Palau. Whether you are travelling with children, your partner or friends, you will remember your holidays in Sardinia for the freedom and privacy, relaxation and comfort. There are beaches, restaurants and exclusive facilities and services a stone's throw from your apartment plus a marina from which fantastic excursions leave for the La Maddalena Archipelago and the South of Corsica.